If you are looking for wine, beaches, and fine dining, North Fork Wine Country is for you. With over 30 wineries, the wine enthusiast may have difficulty choosing a favorite. Baiting Hollow Farm Vineyard has 13 different wines, three of which support the rescue horses onsite. Hoping to wine and dine? Comtesse Therese Winery & Bistro is the only winery with a restaurant on Long Island. Enjoy live music Saturday and Sunday, May through October, at Duck Walk North Vineyard. Take the stress out of choosing which winery to visit by taking a Vintage Tour to four unique vineyards with an expert guide. Visitors to the Orient Beach State Park can swim in the cool waters or hike through a forest of red cedars and prickly-pear cactus. 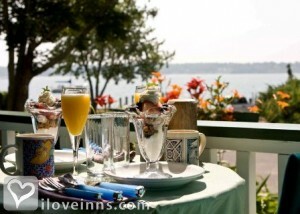 Diners can savor their food al fresco at many of the restaurants that serve local, fresh seafood. The Long Island Aquarium and Exhibition Center has one of the largest all-living coral reef displays in the Northern hemisphere. There is also a new birds and butterflies exhibit. Sail through the beautiful water of the Peconic Bay on the Mary E, an authentic schooner. Boat rentals are also available for those who wish to explore the water on their own.